As the close racing continues in the Southern Ocean, the leaderboard positions continue to change with Qingdao retaking the lead on day seven of the The ClipperTelemed+ Tasman Test. 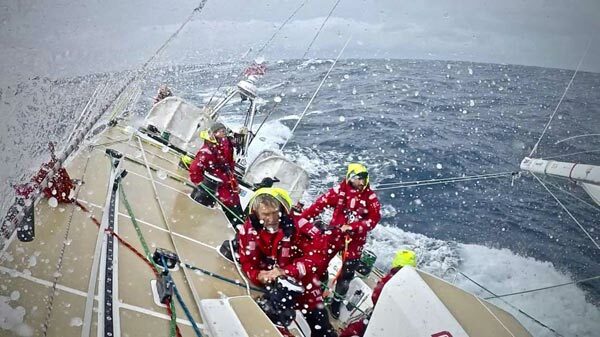 With less than 20 nautical miles separating the top three teams, the next 24 hours are set to be just as thrilling as the fleet converges on the race mark at the south of Tasmania before heading north to Sydney. This follows an excitingly close Elliot Brown Ocean Sprint conclusion yesterday, which saw Sanya Serenity Coast, Visit Seattle and Qingdao claim the bonus points with less than four minutes between their elapsed times. 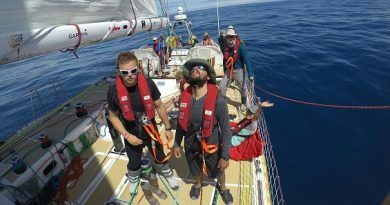 On Day 7, it is Qingdao which takes the lead but on board the team is highly aware of how close the racing is with Skipper Chris Kobusch reporting: “Since the team sailed into first position everyone is keen to stay there and every time I come on deck, or someone comes to the nav station, the first question is: where is Sanya Serenity Coast? How far are they away? Dare To Lead has enjoyed another fast night towards Tasmania moving up to seventh position and managing to keep PSP Logistics, currently ninth, and Liverpool 2018, tenth, at bay. Skipper Dale Smyth said: “Another good fast night towards Tasmania, still trying to decide which gybe is best. PSP Logistics has also been enjoying the fast spinnaker sailing conditions benefiting from a wind shift which, for skipper Matt Mitchell, came as a relief as it meant that PSP Logistics could now point exactly where he wants to go: “We continue to chip away the miles to the guys ahead and we are starting to make good gains…finally! After a tough night with strong gusting winds, HotelPlanner.com choose a more northerly route to avoid some of the strongest winds but in turn sacrificed some leaderboard positions slipping from sixth to eighth place. However, Skipper Conall Morrison is hopeful that the team today will have good conditions and nice speeds back under spinnaker. 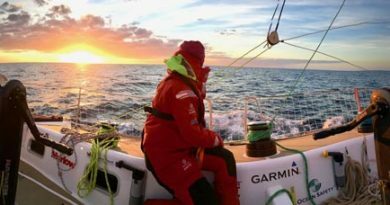 For Nasdaq, currently in eleventh place, thoughts have also turned to Tasmania after reaching the milestone of around 1000 nautical miles to go until Sydney. 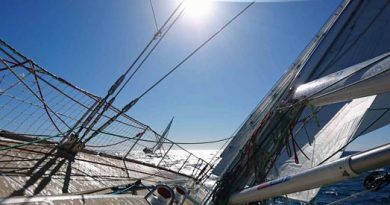 Simon Rowell, Clipper Race Meteorologist and weather guru, reports that as fleet converges to Tasmania, the conditions are looking good to get around quickly. He added that it is looking very tactical from there on in with what looks to be a very close upwind finish in Sydney. Which team will round the mark first? Stay tuned to the Clipper Race Viewer, with its hourly position updates, to see how the changing weather conditions will affect the fleet. All positions were correct at time of publishing. To read the Skipper Blogs in full, or to hear the latest from the crew, visit the Team Pages.